Has your countdown to graduation begun? Are you looking to gain work experience, not run errands? 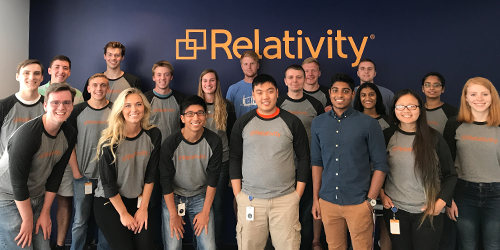 Relativity’s Chicago office hosts an immersive 11-week summer internship program in engineering and a variety of other teams, where rising seniors and other college undergrads take on real-world assignments in a growing global tech company. You’ll gain work experience that’s tailored to you, become acquainted with all aspects of our business, and yes—you’ll get paid for it, too. We’ll also keep you busy with fun activities—like bowling and Whirlyball—and share perks like free fruit and discounts on Divvy, Chicago’s bike-sharing program. Not from Chicago? We can help you out with a housing stipend. General questions about Relativity’s internship program? Email recruiting@relativity.com. 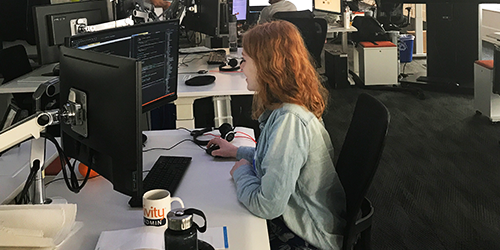 View our internships brochure to learn more about working at Relativity as part of our internships program. "Everyone has gone out of their way to make me feel as valued and included as a full-time employee. I don’t have the feeling that I’m “just an intern” or that I’m not making valuable contributions to my team." 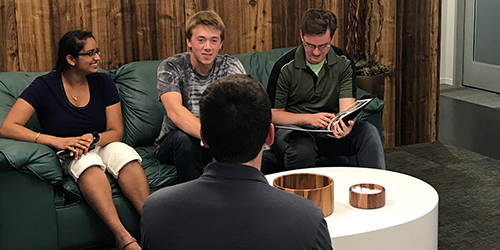 "This internship program has been an experience that has exceeded all my expectations, from fun events and great food to the workplace atmosphere and the work the interns get to do." "I enjoy every day of work at the office and have made many friends through the internship program’s various events. The experience gained from this internship will, no doubt, help me develop my career for years to come."